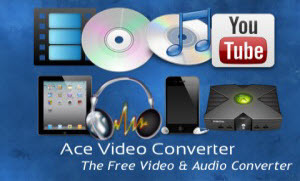 Ace Video Converter is a video converter. While there are plenty of different video converters that you can get, not all of them are really all that good and in most cases, they will generally focus on a single format. This usually means that you can really use them to process your files properly and this can become a really big issue as you will often need several programs to finish your work. One of the best and most effective way to deal with all this is to get a tool like Ace Video Converter. Ace Video Converter allows you to convert any of your files from one format to another without any of the problems that follow many similar programs. Its simple interface and ease of use will really make it an important part of your system.